Users must find value in what you’re sending. In other words, it’s all about the user. Personalize it, make it short and sweet, and assume they are not 100% engaged the same way they would be if reading an email. And that general advice works for 9 months out of the year. But right now? It’s February. So what can you, the brand marketer, do to help them succeed? It’s not enough to write down that you want to lose 25 pounds. But a system you could put in place to achieve that goal is to make a point to go to the gym 3 times a week and eliminate fast food and alcohol from your diet. You may believe your product or service has nothing to do with habits and New Year’s Resolutions. So right now? It’s your goal to make sure your users are part of the 8% that actually succeeds at achieving their New Year’s Resolutions. Need some ideas on where to start? Let’s break down what that messaging might look like from 5 different brands. So really, I should cut down my sugar intake sooner than later. 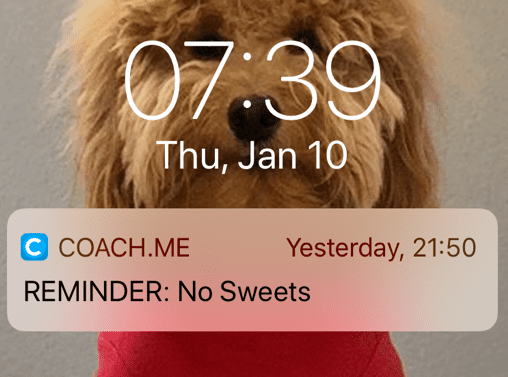 While there are plenty of apps to track calories or weight loss, I like how simple Coach.Me is. Based on my goal, I simply added myself to a community of people who want the same results. And so far, it’s working. I haven’t eaten many sweets since January 1st. 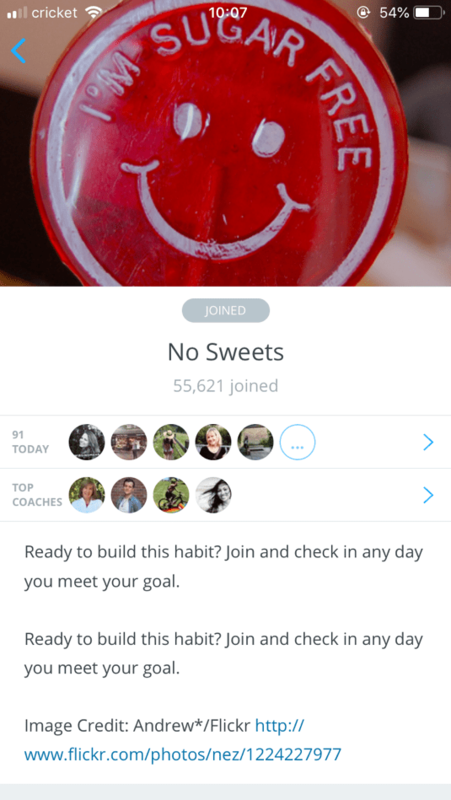 To make this more actionable, Coach.Me could use their mobile push notification to encourage me to post my progress in the forum, reward me for my streak of not eating sweets, or ask if I need additional support from a coach. But as a quick reminder of what I should be (and should not be) eating each day, this message is short and to the point. Despite practicing yoga for the last 11 years, I’ve found it difficult to keep up a practice at home. So when I found out Glo was an Iterable customer, I signed up to see if it would change anything for me. 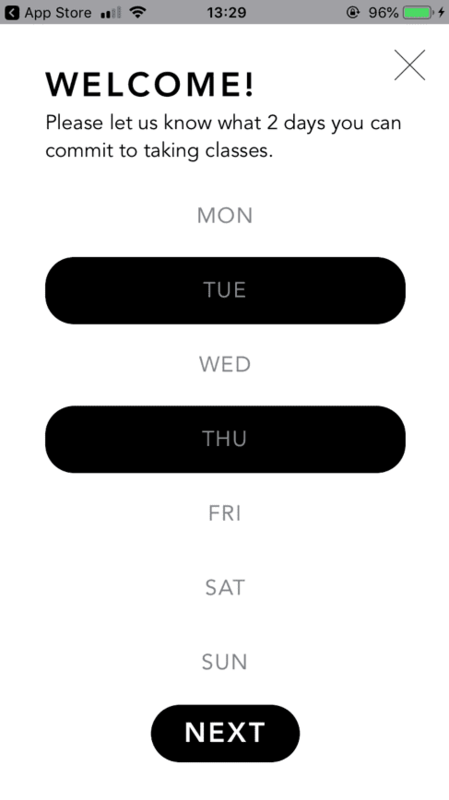 As part of my welcome onboarding, they immediately asked me to commit to what days I’d be taking classes with them. And when it was time for those days, I received a push notification alerting me to take my class at the time I agreed on. But I admit—I still have yet to open the app to take the class. 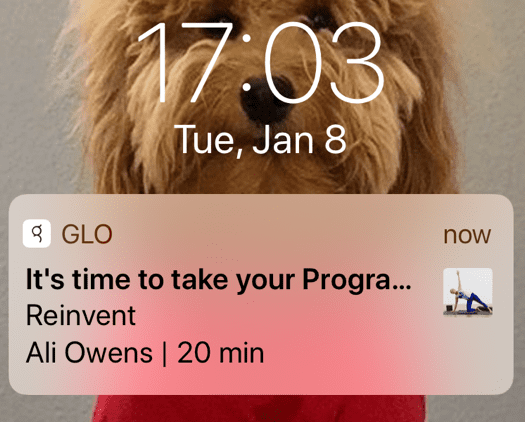 So Glo stopped alerting me via mobile push (and instead, as part of their cross-channel marketing strategy, put me in their nurturing email sequence). Especially after getting me to commit to taking their class on Tuesday and Thursday evenings. If they sent me additional push notifications for the next few weeks on those days, I might get the hint to log in. Otherwise, I loved the idea of getting me to commit to days I plan to take classes as a way to reinforce the habit. I’m not currently trying to lose weight at the moment, but if I was, I’d use MyFitnessPal. And it’s not just me. It’s the 2nd most used fitness app in the United States. 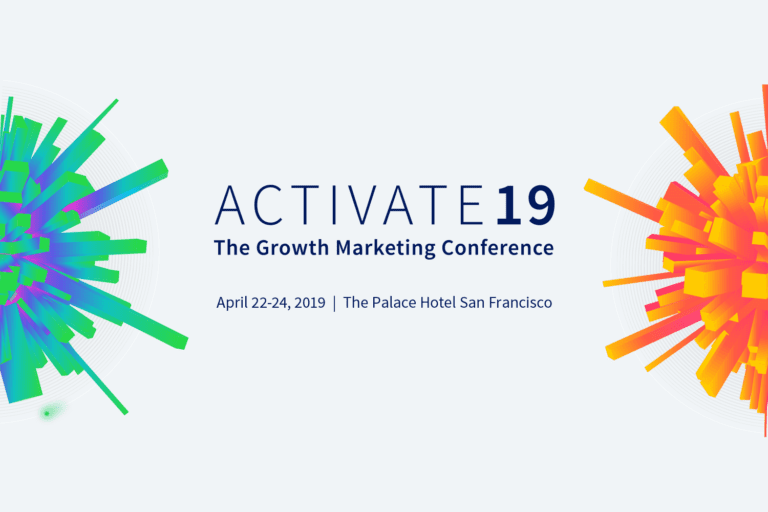 Because they’ve been around for 13 years, they know exactly what habits to reinforce to keep their users on-track and motivated. Or encouraging users to keep their good habits going. 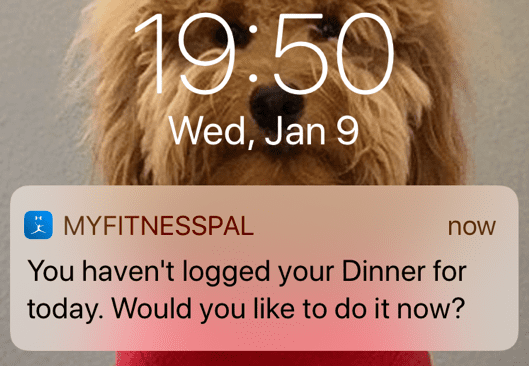 To personalize these messages more, MyFitnessPal could send personalized push messages to users about their macronutrients or remind them to exercise or report their current weight. But from a simple habit standpoint of tracking calories, they understand exactly what their users want and need. Especially since only 39% of Americans say they have enough in savings to cover a $1,000 emergency. So budgeting, albeit boring, helps me stay firmly in that 39%. Which is why I love You Need A Budget, otherwise known as YNAB. 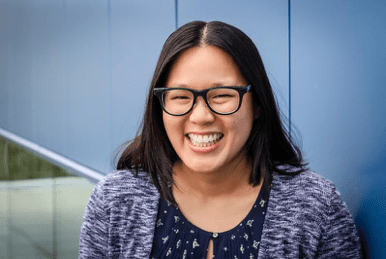 YNAB’s philosophy is simple: Give every dollar a job. You do this by painstakingly planning out everything you want to buy at the beginning of the month. It doesn’t matter if it’s your grocery bills or your monthly massages—it all gets put into a virtual envelope system. And during the month, you manually go through and categorize every transaction you make. Are the reminders helpful? Sometimes. But most of the time, I ignore them (and my husband categorizes it for me). 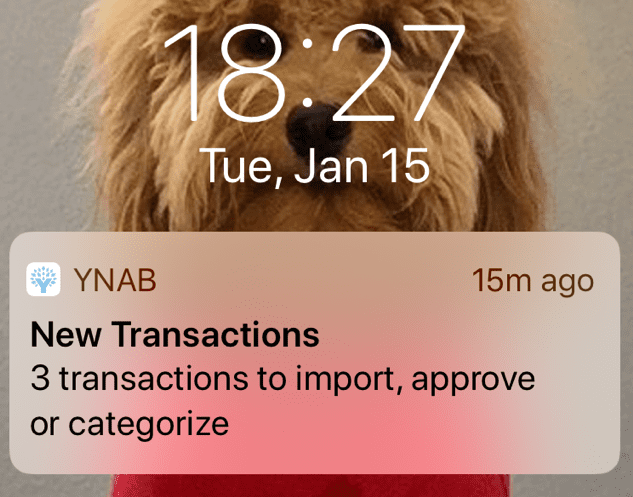 If YNAB wanted to motivate me further to categorize my transactions, they could ask me to set specific financial goals (Much like Iterable customer Swish does). 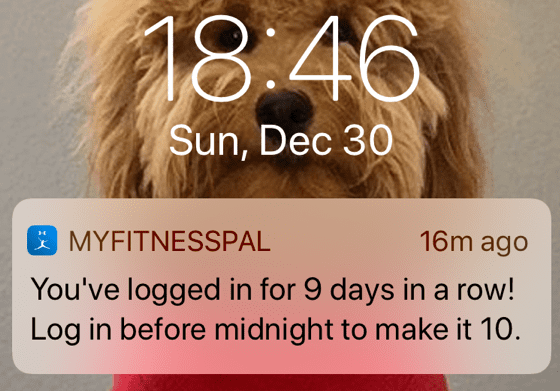 Even better if both apps could personalize habit-forming push notifications around that. But I can’t complain too much. 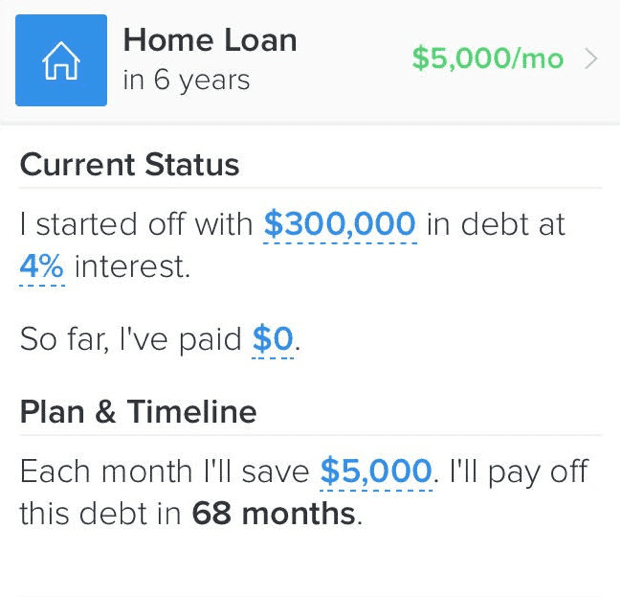 Thanks to tools like YNAB and Swish, my husband and I paid down $50,000 of my mortgage while traveling in Southeast Asia for three months, so I can personally attest to how well keeping track of your spending works. 2019 is the year I plan to successfully bake and decorate a 3-tiered cake. So naturally, I went to Iterable customer CreativeLive to search for classes on cake decorating. Chalk it up to laziness or a lack of urgency, but I never purchased the class (and still have yet to bake the cake). 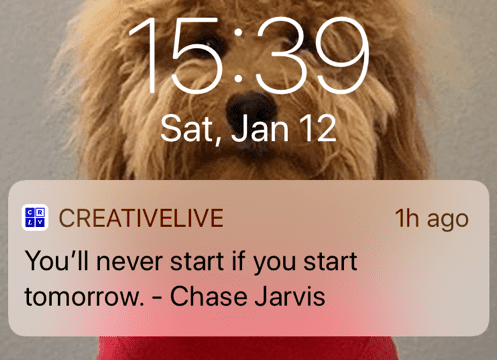 CreativeLive didn’t miss a beat. Instead, they sent me messages encouraging me to get back into the app using the principle of consensus. Plus, they sent me an inspirational quote via mobile push every once in a while. While also triggering cart abandonment messages via mobile push. 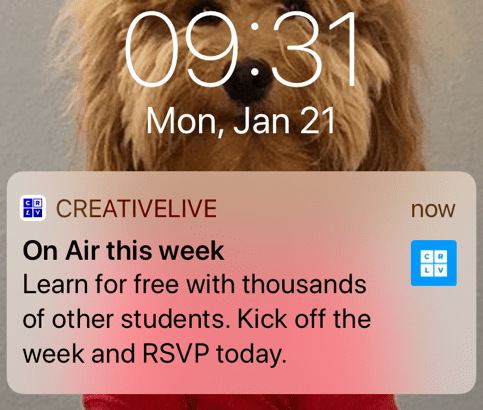 I didn’t sign up for the class, so I’m not sure what other push messaging CreativeLive uses for students registered in a class. But from my perspective, I liked that CreativeLive wasn’t too pushy about signing me up for a class right away. Instead, they focused on providing a vast catalog of topics so that users can indulge in learning when they are ready to make the commitment. So what can you, the brand marketer, do to take advantage of this critical time of year? First off, understand that your users are looking to achieve a positive result when making New Year’s Resolutions. And there’s no better system of tracking progress than utilizing something they have with them at all times—their mobile phone. After all, if you can help your user become one of the 8% that achieves their goals, wouldn’t it be easy to win them over as a lifetime customer? 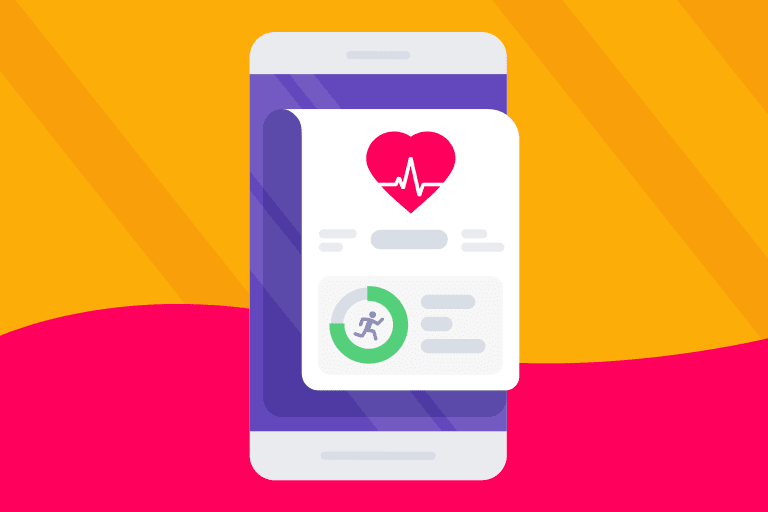 So whether your product or service helps users lose weight, achieve a new skill, or something else entirely, use the five examples above as inspiration to jumpstart your mobile push strategy for 2019. 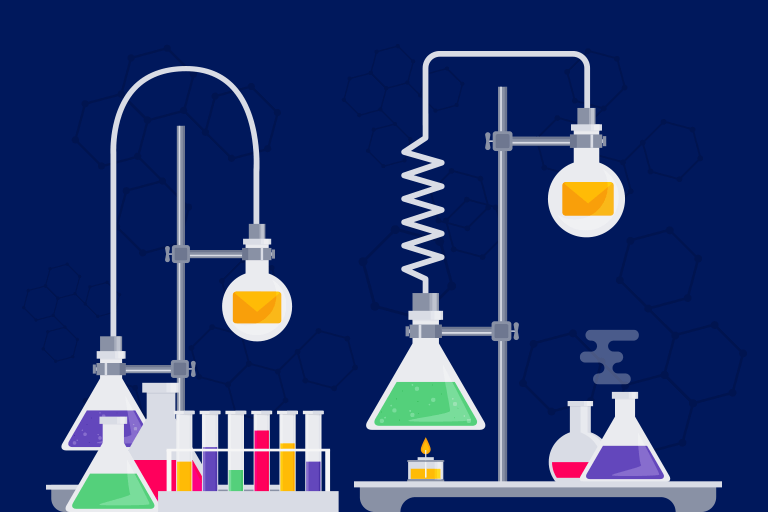 Whether you're new to testing or looking to level up your game, this post will help you create email experiments that will give you the greatest insight.